A few weeks back a good friend of ours, Mark One Wolf, shared a Facebook page with us that featured a group that carried the name “Team Redskins.” The group is with the Chippewa Cree Rodeo Association of Montana and is closely associated with “Team Redskins,” who are of the Chippewa Cree Tribe. “Team Redskins” was made possible, a least in part, by the Washington Redskins Original Americans Foundation and is an active rodeo group of bull/bronc riders and ropers with tour dates all over. This is an impressive group of cowboys whose work ethic and ability would be hard to match in any environment. 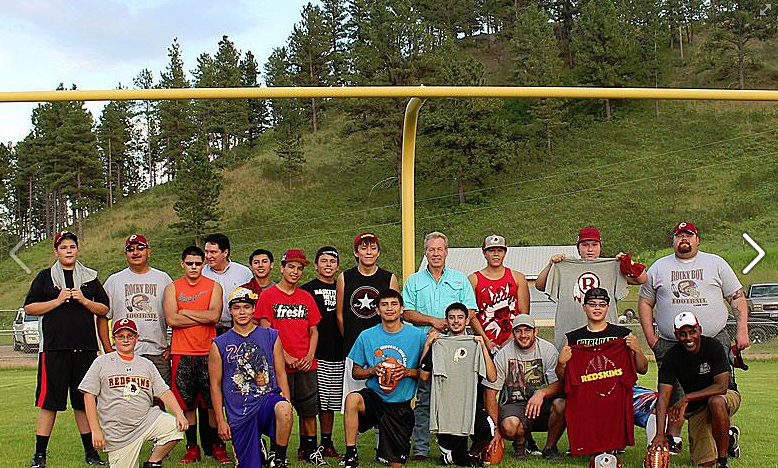 “Team Redskins” posted pictures from their Facebook page this morning of former Washington Redskins greats Chris Cooley, Gary Clark and Mark Moseley at a football camp on Rocky Boy’s Indian Reservation in Montana. The pictures (which we will post below) show the Redskins greats meeting with Native American children and talking about the game of football. These children and their parents are fans of the Washington Redskins and as you can tell by the pictures, are not offended by the name “Redskins” at all. One of the leaders of “Team Redskins,” Tony Woods as well as Megan Yellowhorse, Robert Doore, Wade Colliflower and Phillip Sutherland recently spoke on the term “Redskin” and what it means to them. Their interviews are in the videos below. As you will see/hear, they strongly support the name. The videos are a part of a new website that has recently gone live. 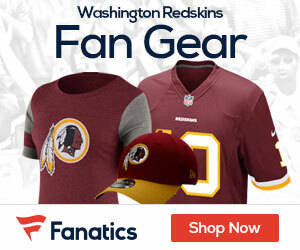 The website “Redskins Facts” is aimed at airing the truth about the Washington Redskins team name as well as giving Native Americans a place to voice their opinions, which up to this point, only the name-changers have been heard in the media which has led to misinformation running amok. The number of Native Americans who are NOT offended by the term “Redskin” is much higher than what the national media is making things out to be. 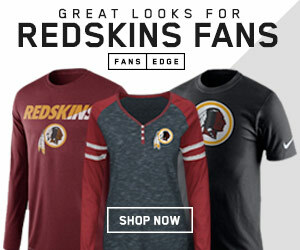 The time is now for all fans of the Washington Redskins, Native and non-Native, to stand and FIGHT misinformation about the team and support the name while there is still a name to support! We will continue to follow “Team Redskins” and will be sure to keep everyone connected with their group. In the meantime, you can visit and “like” their Facebook page by CLICKING HERE.